We are Nikki & Peter LLewellyn-Jones & we live on 20 acres at beautiful Berry Springs in the Northern Territory, Australia ~ 'Never Never' land ~ with both the World Heritage listed Kakadu National Park & Litchfield National Park right on our doorstep. 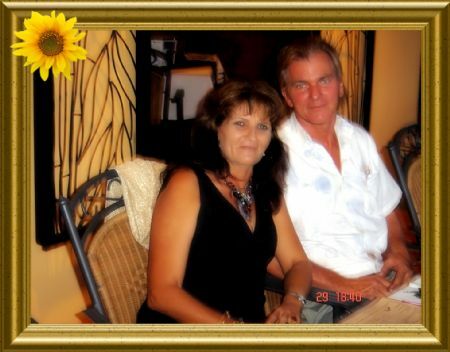 We have two children ~ Tracy & Simon who have now both moved & are off enjoying life & exploring Australia. A Royal Navy brat born in Plymouth, England, Nikki grew up all over the world & attended school in first Asia & then later in Europe. When the family finally returned to the UK it was decided 'the kids need a dog' & a couple of Beagles were purchased from Jean Lanning's famous Clausentum Kennels. Terrier's were then added & even a Dachshund (Long Haired) were soon to be found happily romping around the family home! Nikki, having a passion for all things equine ~ accompanied by her Jack Russell Terrier 'Peach' ~ finished her apprenticeship fully qualified with the highly regarded 'ABRS' & 'NPS' Diplomas. Work found her competing & exhibiting some of the worlds most beautiful show horses & ponies throughout the UK & then she was offered the chance of a lifetime on the other side of the world in the island's of New Zealand where she spend several years with National & International level show horses, Hunters, Hacks, Showjumpers, Polo Ponies & Breeding Stock ~ before eventually moving over to North Queensland, Australia. Peter is Australian, being born & bred in the outback mining town of Mount Isa, Queensland (although with a surname like Llewellyn-Jones you'd be correct in thinking he has Welsh ancestry). He shared his childhood with a black Pug & later with German Shepherd Dogs. With mining running through his veins, he has spent a lifetime working in both underground & open cut mining throughout Australia & many other parts of the world including East Timor & the Philippines ~ he was even in East Timor during their War of Independence ~ where he found himself in hiding & quite literally dodging bullets! Nikki & her daughter Tracy first met Peter in the Western Australian goldfields where they shared their home with Fox Terriers, Australian Cattle Dogs & a couple of Australian Terriers. A trip 'north' in an old Bedford Tiger Cub bus became the next big plan ~ & it was decided that Beagles once again just had to be a part of this new adventure ~ so, the first 'couple' of many more Hounds joined the family & the trek 'north' was finally under way! Darwin was the final destination (simply because they had never been here), & to cut a long story short ~ 20 acres of beautiful virgin bush was purchased, fenced, a house built, & soon stables & floodlit equine training arenas appeared. 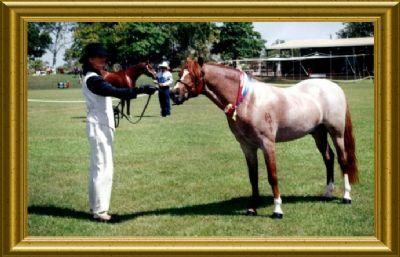 With a brief return back to WA in the late 1980's to retrieve the 'Livingstone Stud' foundation broodmares ~ the family (which now included a son Simon! ), then spent many decades selectively breeding, competing & showing their champion horses & ponies. Over the years their small team has won well over a dozen Barastoc & EFA Pony of the Year & Rider of the Year titles, numerous Smartest On Parade & Turnout classes & many dozens of Champion & Supreme Championship awards (including at Royal Show & State level). As a result of qualifying many times the family has received repeated invitations to 'represent' at both State & National level competitions. Horses & Ponies they have bred & owned have won Supreme Champion awards at Brisbane Royal Show twice ('The Ekka'), the Royal Melbourne Show, the Royal Adelaide Show & of course at the Royal North Australian Show (Darwin Royal), & many times at National Championship Breed Specialty level competition both 'in hand' & 'under saddle'. Both Nikki & Tracy have been engaged many times as equine judges & stewards, & Nikki was for years the official Equine 'main ring' announcer at many events including; Royal Shows, Agricultural Shows, EFA Horse of the Year, Barastoc Horse of the Year, EFA Showjumping Championships, Katherine Show & a million Pony Club events, shows & Gymkhanas. She was also the Show Secretary for Noonamah Horse & Pony Club for over a decade. Simon has represented the 'State' at the National Prince Phillip Cup Games in Victoria, Pony Club in Dressage Events, Showjumping, Mounted Games & quizzes (first representing Noonamah Horse & Pony Club at the tender age of 5 years old! ), & he also won Runner Up EFA Showjumper of the Year in his 1st year competing. Tracy has represented Pony Club in Dressage, Quizzes, Turnout, Mounted Drills, Show jumping, Cross Country, with one highlight representing the 'State' at the Show Horse Grand National Riding Championships in NSW ~ the list of achievements goes on & is quite lengthy! Ponies bred, produced or trained by us are still loved & winning all over Australia. Dog sports however began to beckon & appeal, even more so after Nikki sustained an extremely severe & life altering injury to her right leg whilst she was working out at Jim Jim Falls in Kakadu National Park ~ so away they went ~ headlong into the wonderful world of the competitive Canine! After a lifetime of Hounds & Terriers (& a Welsh Corgi Cardiganshire called 'Soxy' who just moved in for 15 years! ), it was decided to make a complete change of breeds & in 2000, at the dawn of a brand new century, the first Springer Spaniel came into our lives ~ 'Gaelforce Guernica' ('Rugby'), & he was a very special Springer Spaniel indeed as now our lives have been become enriched & blessed by these beautiful dogs beyond measure. There have never been any regrets attached to changing hobbies or breeds ~ & they find themselves, now quite simply enjoying life, showing, trialling & travelling around sharing their lives with both of their chosen, beautiful & ancient Spaniel breeds ~ & just quietly ~ it has been noted that their lives have actually started to revolve around the dogs! Nikki has just returned to a position on the DogsNT Council & on the Show Advisory Committee (SAC) ~ having previously been on the Council (NACA), stepping down back in 2008 & she also spent many terms serving on the Trials Advisory Committee (TAC). Both Nikki & Peter are active fund raisers & Club Members of their local canine clubs (often holding Executive committee positions), Nikki is the Editor of Dogs NT bi-monthy publication the TDW (Territory Dog World) & an editor of the DogsNT website, the current Treasurer & a past President of the Palmerston Gundog Club (PGC), the Webmaster for the PGC & the Show Dog Handlers Club & a Webmaster for Darwin Ladies Kennel Club Inc as well as being Face Book Administrator &/or Moderator for the Palmerston Gundog Club, Show Dog Handlers Club, Dogs NT Members Discussion Group, DogsNT Official Page & the Darwin Obedience Dog Club Inc online pages. Both Nikki & Peter are both financial members of & registered DogsNT breeders (a member body of the ANKC). We hope to continue on our wonderful journey, making new friends as we go, experiencing & meeting fellow enthusiasts from all over the world! We LOVE to talk about our dogs & are more than willing to answer any questions regarding them or on the Springer Spaniel breeds in general. If we do not know the answer! we are bound to know someone who does ~ so, please, feel free to contact us or leave us a message in our Guest Book as we would like to help if we possibly can. Kind regards ~ Nikki & Peter.